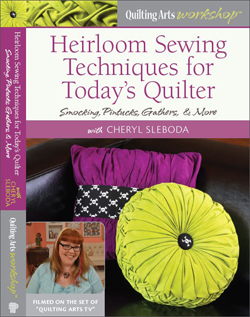 tutorial – Cheryl Sleboda – Textiles. Technology. Texture. Teacher. 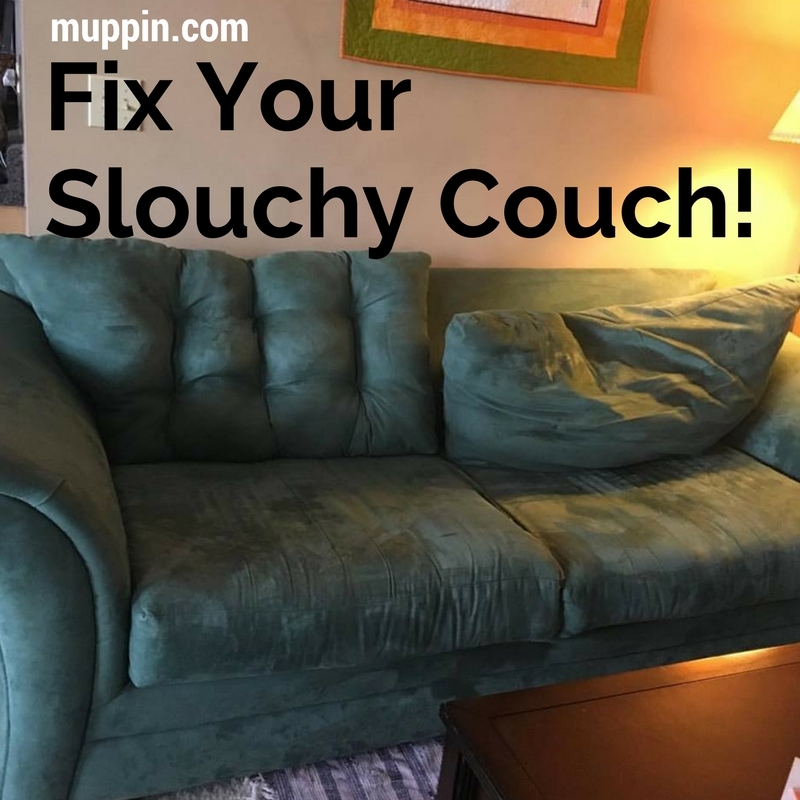 Dec 28, 2017 Muppin Comments Off on Slouchy Couch Makeover! 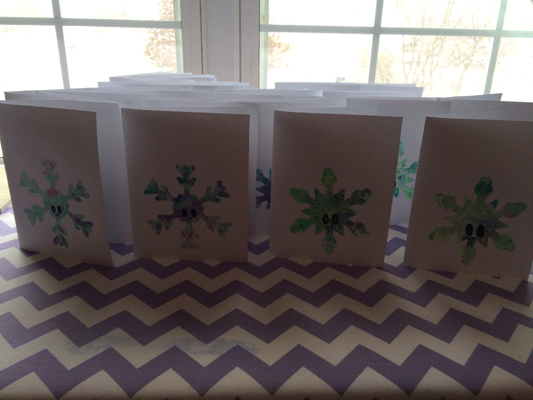 Every year I make my own Christmas cards to mail to my friends and family. I was super excited to make this year’s card with my new Slice Die Cutting machine. Here’s what I did to make the cards! 1. 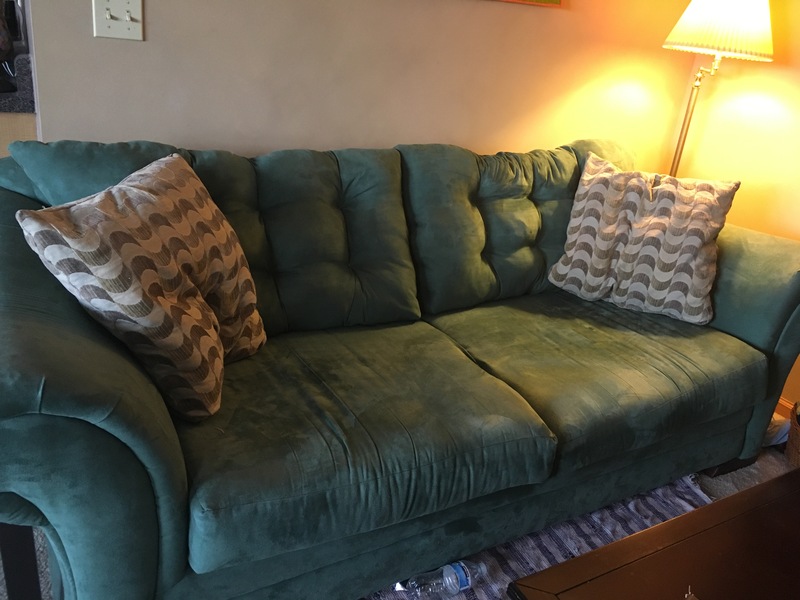 Start with fabric of your choice. 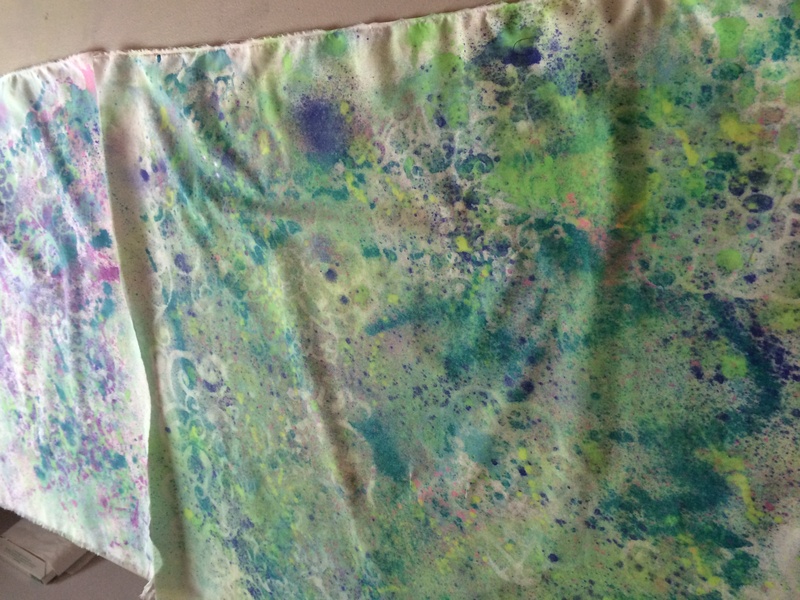 I painted my own fabric using these awesome Tulip spray paints and various stencils. You can use any fabric you like, a fancy batik would look awesome! 2. 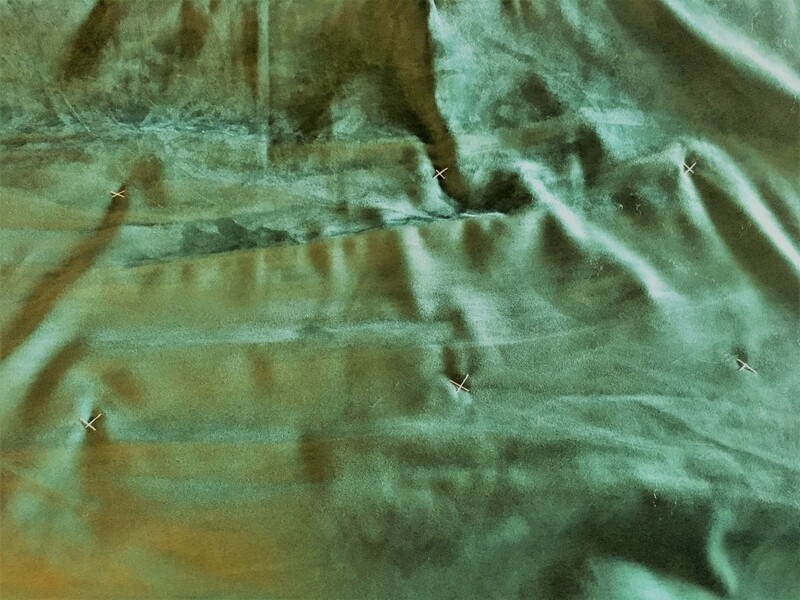 I ironed the fusible web to the entire backside of the fabric, so that I could cut anywhere and minimize waste, but use what you need to for the fusible that you have. It’s important to fuse the paper backed fusible on the fabric before you cut! 3. Time to cut! Get your machine out, and use your favorite die. Ornaments can be made out of circles, trees from triangles, presents from squares, so use your imagination! 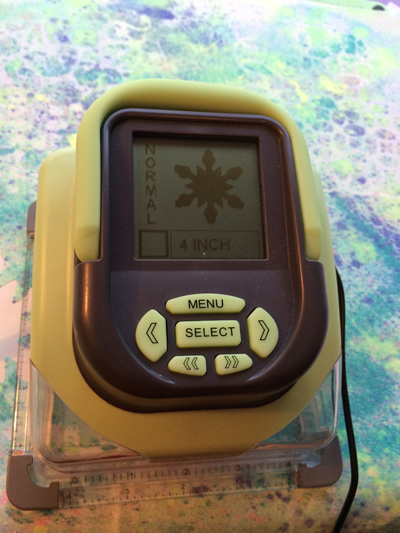 I loved this snowflake, so I chose that, and on my Slice, I picked the largest setting. Cut away! Something to keep in mind is the placement of the machine while you cut. I place the machine at angles to keep my fabric waste to a minimum. Who knows what you can make from the scraps! 4. 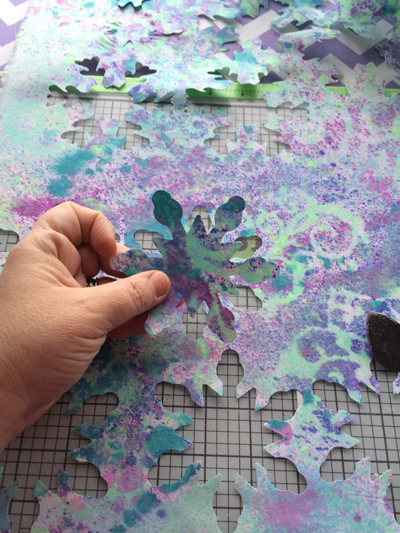 Now is the time to further embellish your die cut out with paint, markers, or pens. 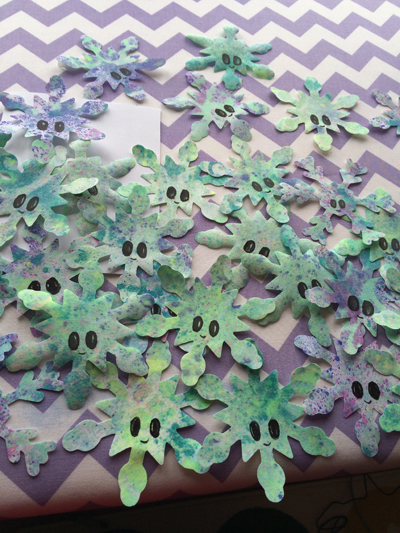 I used black paint to paint little faces on all these snowflakes. 6. 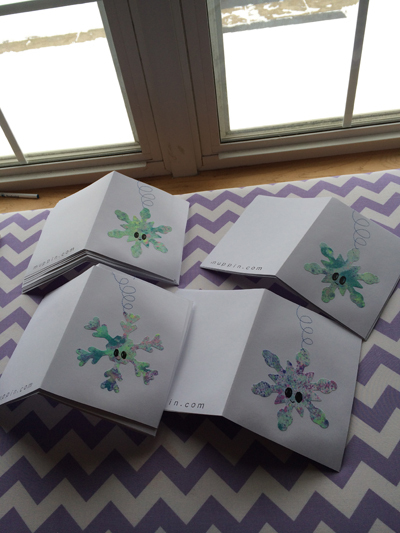 Lastly it’s time to sew on the cards to add that last bit of pizzazz! 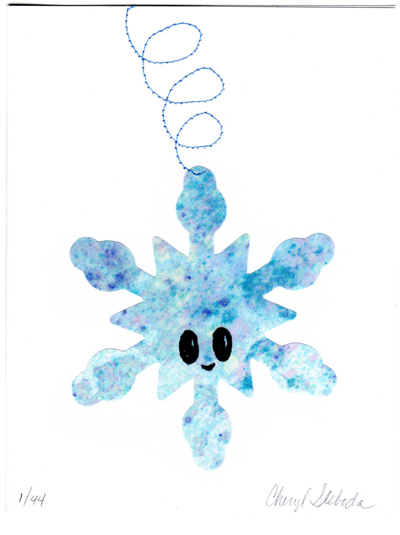 For my snowflake, I made it look like it’s just been spinning in the sky. You could make bows on packages, or the hanging string from ornaments, whatever you like! Be sure to sew carefully so you don’t create any thread nests on the backs of the cards, and also clip all of your thread tails. Voila! You have beautiful cards that everyone will clamor for! My friends save them and put them up every year as little works of art, which makes me feel so special. I would love to see what you make!! Don’t forget to sign the front of your artwork! Always on the lookout for things to do with my buckets of vintage lace, I figured out how to make a Rosette Ribbon, and I thought I would share it with you! To start, we’re going to do the base pleated rosette. 1. 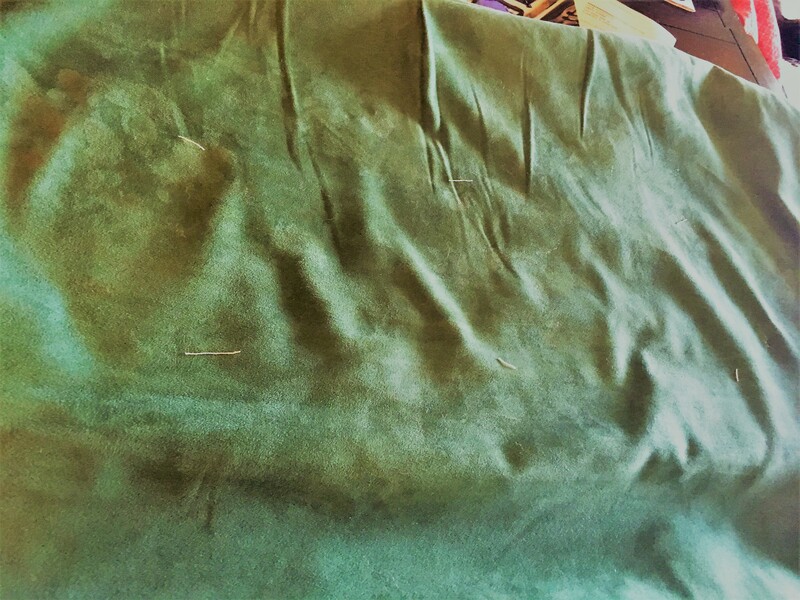 Cut a thin strip of fabric with pinking shears. The width of the fabric will be half the diameter of your rosette. We want a fat strip here because layers of lace will top this rosette. 2. Start pleating your fabric on every louver of the pleater. Tuck it inside nice and tight, and try to keep your fabric straight on the pleater (it’s easy to get wonky). 3. When done pleating, give it a good spray of starch to wet it, and press it with your iron until dry. 4. Remove the fabric from the pleater, and manage your pleats into shape. 5. With right sides together, Make a running stitch (or use your machine) to form a loop out of your strip. 6. Push the fabric into a circle, keeping your pleats intact. 7.. With a needle and thread, pick up the fabric in stitches on the part of the fabric strip that will be the inside of the rosette. Pull tight to form a circle. Now you can do the rest of your ribbon rosette! 1. Taking a wide width of lace and a thinner one, lay one on top of the other, and then turn so both skinny layers are facing forward. This is a similar shape as the various “hope” ribbons. Sew this ribbon to the back of the fabric pleated rosette. 2. 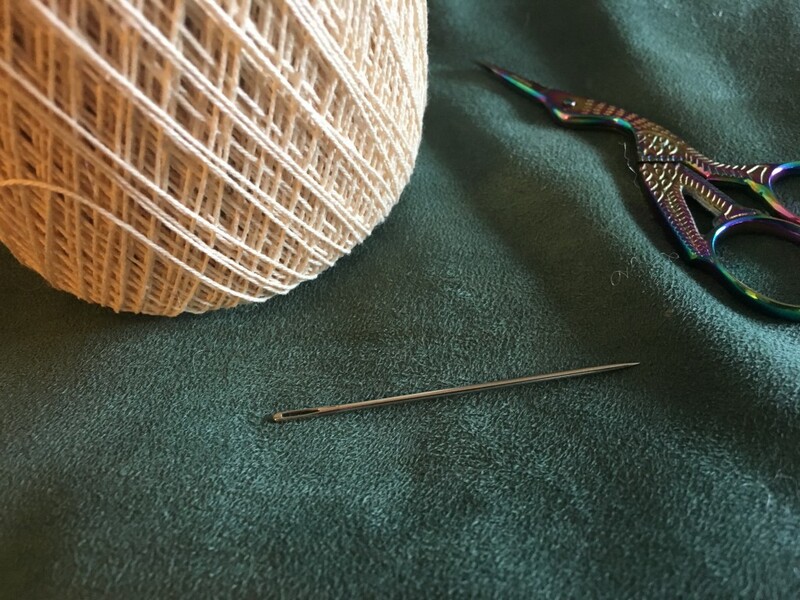 Ruffle up another piece of lace into a circle by picking up stitches in a running stitch along one edge, or finding a ribbon that is pre-ruffled. Tack this in the center of the pleated fabric rosette. I used more thin laces to create little tendrils hanging from the center of the rosette. 3. Lastly, you can use a Yo-yo, decorative button, or other embellishment to decorate the center of the ribbon. If you are using it as a prize ribbon, you could make a quilted center with “1st Place” or whatever you like in the middle. Check back later this week for a chance to win a Perfect Pleater of your very own!! When I first started collecting vintage hankies, I was introduced to the “hankie safe”, a cloth cover in which ladies put their nicely starched and pressed hankies so they didn’t get dirty. For a while now, I have had a mess o’ hankies in the bottom of my purse. It wasn’t seemly to offer one to someone if it came out all manky from the bottom of my bag. I needed a Purse-sized Hankie Safe/Cover. 1. My folded hankie fit nicely on a 6 inch square, so that is where I started. I picked a beautiful hand printed fabric I made with my Gelli Plate, and this is a great project for your Gelli printed fabrics! 2. Cut your cover (printed) fabric to be exactly 6 inches square. Also cut 2 more 6 inch squares from a coordinating fabric. I chose white, but you could match your fabrics too. 4. Lay your newly pressed triangles on top of the printed fabric (right side up). 5. 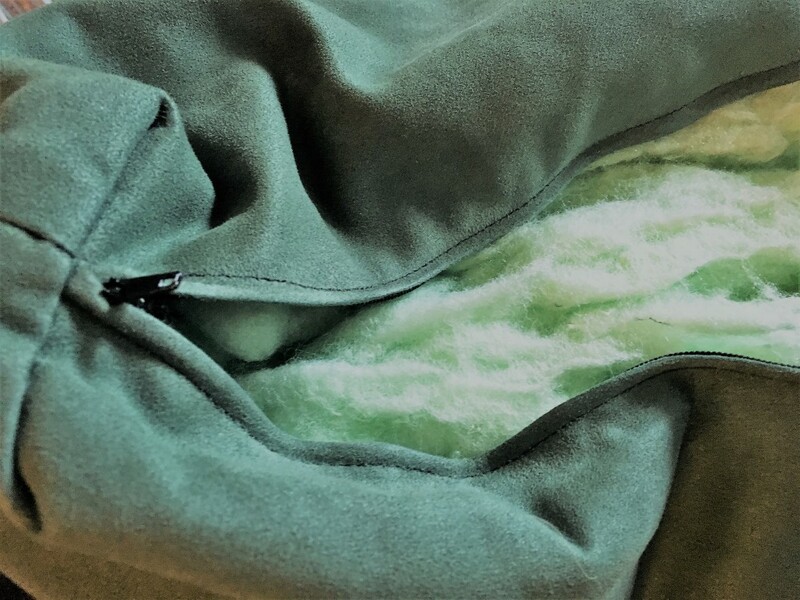 Sew around the entire perimeter with a 1/4 inch seam. I made sure to reinforce the corners. 6. Clip the corners and turn inside out. Clip the inside corners closely. 7. I didn’t like how the folded cover made the raw edges stick out, so I used a whip stitch by hand to close up the edges. 8. You can further embellish with a pretty lace trim, or even a button to keep it closed. Enjoy your hankie cover, and now you can offer a hankie to someone without embarrassment, and keep them tidy in your purse. Want to know how I folded the hankie to fit the cover? Here’s how! 1. My hankie is about 12 inches square unfolded. I got this one at Victorian Trading Co.
2. Fold in half, and then half again. 3. Fold one corner to meet the opposite corner. 4. Then fold again for a small compact hankie! I hope you enjoy the Hankie cover tutorial, and please let me know if you make one! 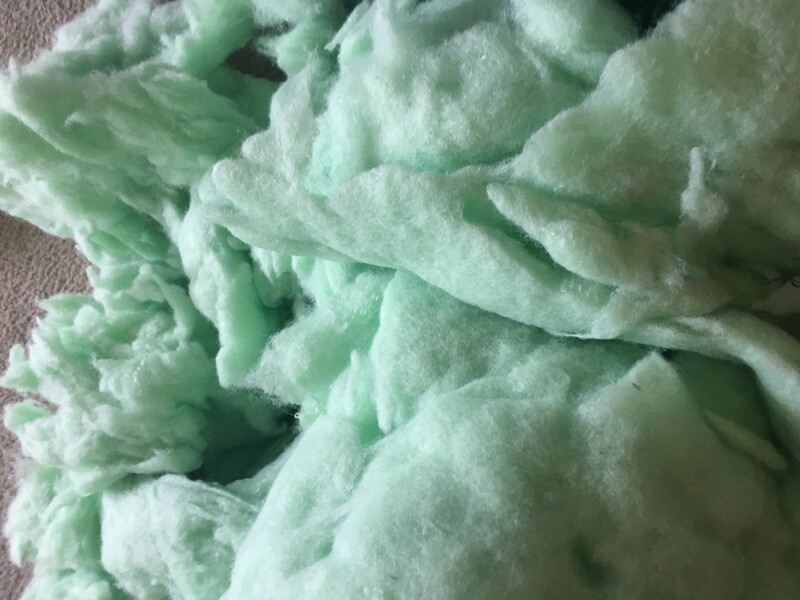 Since I now have piles and piles of old lace, I thought I would share some fun things to do with old bits and bobs over a series of weekly posts. I’m totally hooked on Downton Abbey and am finding more and more uses for lacey bits around the house. If you are obsessed with old lace like I am, and wonder what to do with the ever growing piles, I hope you enjoy these! My first usage is to make an easy lariat style necklace out of it. You could add beads to the ends, or use a scarf slide to hold it together, but here I have just tied a simple knot. 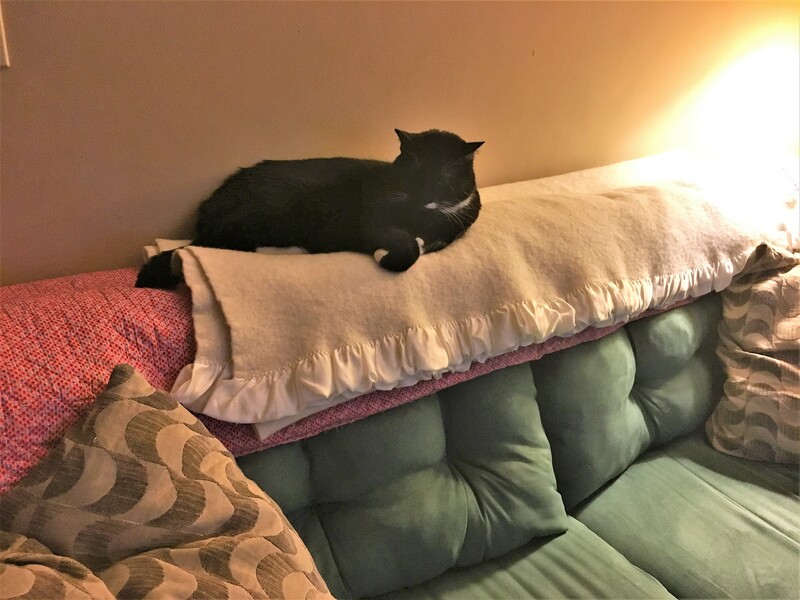 This one is made from a wonderful 36 inch long skinny pillowcase edge.